Product #1865 | SKU JAA014DA | 0.0 (no ratings yet) Thanks for your rating! 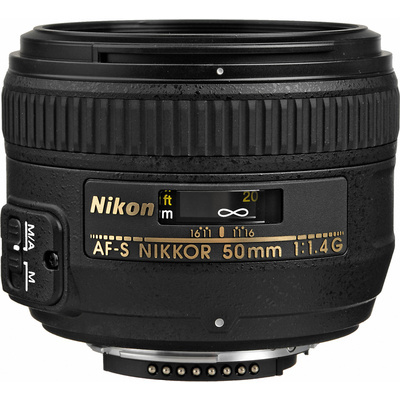 The Nikon AF-S 50mm f/1.4G Lens is a standard lens with an ultra-bright f/1.4 aperture, which allows for fast, accurate shooting with available light. It is also the excellent choice for when a shallow depth of field is desired. An ideal portrait lens when used on a Nikon DX-format digital SLR, it approximates the angle of view similar to that of a 75mm lens on a Nikon FX-format digital SLR or a 35mm film camera.